Draperies and coordinated fabric treatments still offer the most dramatic, soft and elegant decorating solutions in a home. 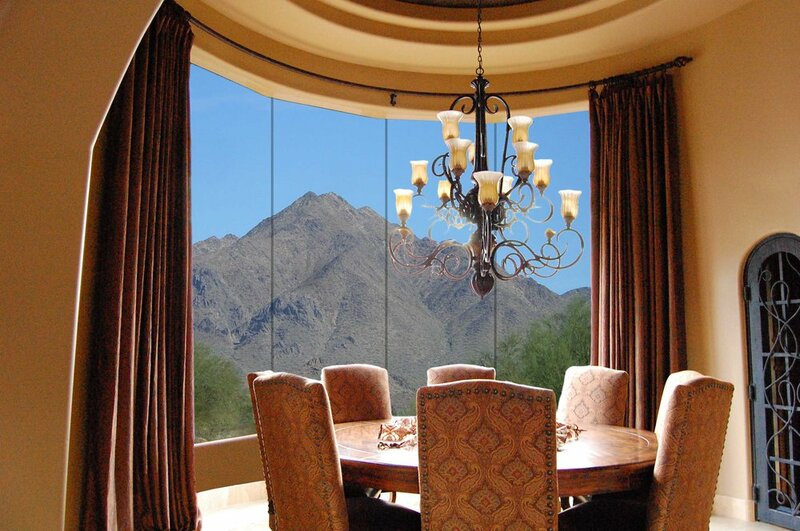 From traditional to contemporary, there is a drapery design to compliment any style. 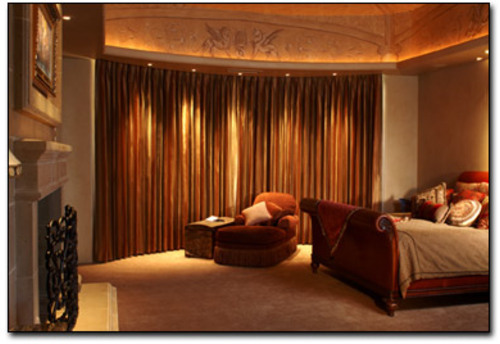 Typically, draperies are used in the most prominent rooms (ie. master suite, living room, dining room and theatre), but can be adapted for anywhere. There is a myriad of choices depending on your taste and needs. A “designer’s statement” is often made with drapery fabrics. We have an on-staff design consultant available to assist you or your designer with whatever you may need.